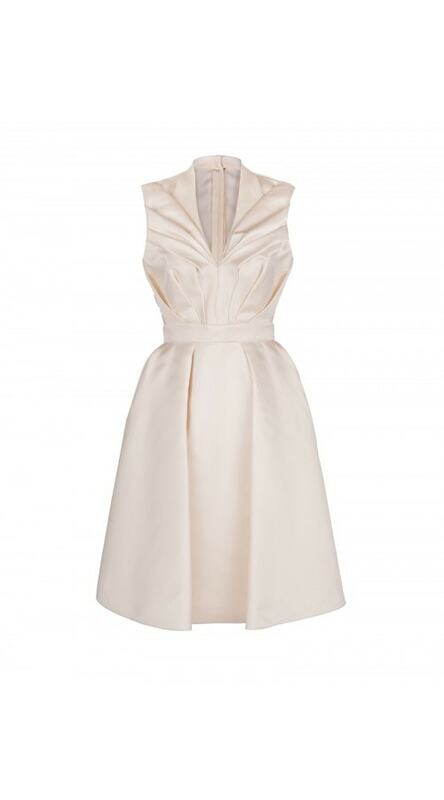 Sculpted to the body, this optic white mini dress presents a strapless sweetheart neckline. 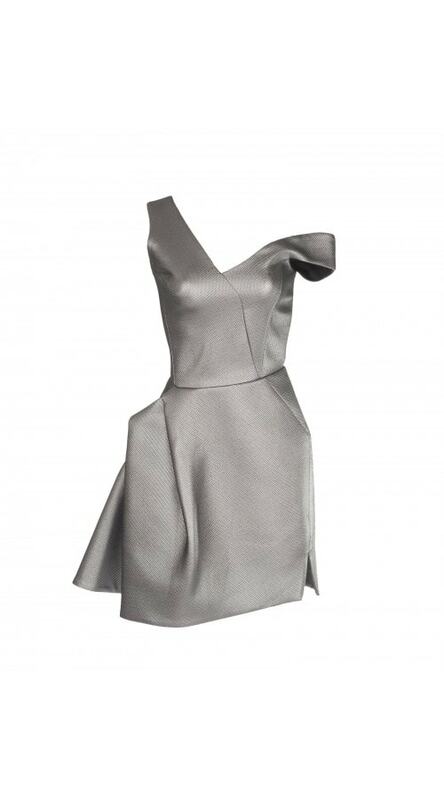 Contouring the silhouette, the fabric is masterfully draped in an elegant panel across the hips. 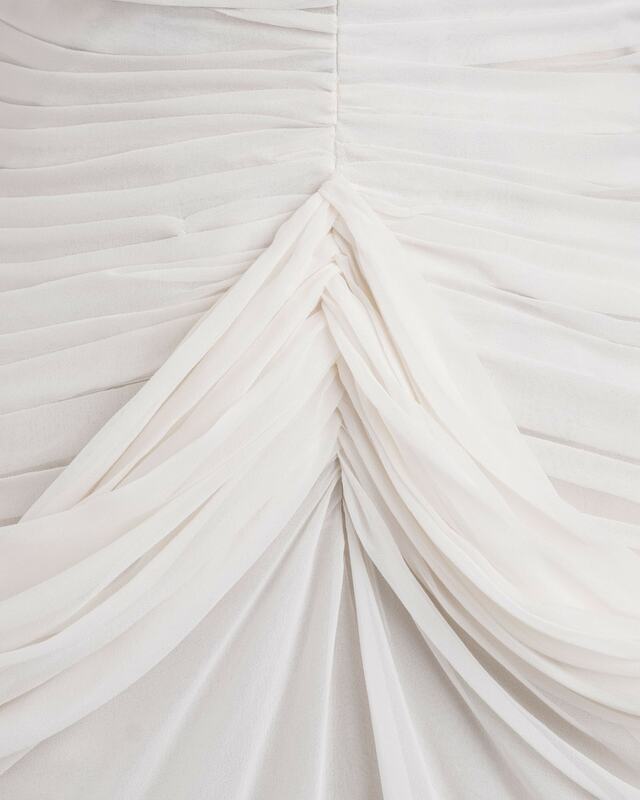 Length to bottom of lining (shorter layer): 24.5"
Length to bottom of chiffon (longer layer): 38"